You should opt for prescription drugs if over-the-counter medicines are not effective in treating symptoms of allergic rhinitis. The common prescription sinus allergy medication include steroid nasal sprays, prescription antihistamines, prescription decongestants, immunotherapy, and other medications. Steroid nasal sprays are anti-inflammatory medications that are effective in shrinking swollen nasal passages. They stimulate the drainage of sinuses and treat a variety of conditions such as sinusitis, hay fever, nasal polyps, and non-allergic rhinitis. Some steroid nasal sprays such as budenoside, triamcinolone, and fluticasone can be bought in pharmacies without a prescription. However, other nasal sprays such as mometasone and beclomethasone dipropionate can only be used if prescribed by a doctor. If you dislike sprays, you can opt for steroid nasal drops. Experts say that steroid nasal sprays are safe and effective. Unlike other drugs which circulate throughout your body, nasal sprays don’t get in the bloodstream and only work on the area they are applied. They don’t affect your eating habits and it also reduces the risk of getting severe side effects. However, you should not overuse nasal decongestants since a rebound phenomenon can occur, thus making you depend on them. Prescription antihistamines are also effective in reducing sinus allergy. Some of them usually contain a decongestant. Some examples of antihistamine pills include desloratadine and levocetirizine. However, some antihistamine medications such as Azelastine come in the form of a nasal spray. Nasal spray antihistamine medication is often used with steroid sprays for quick results. It is advisable to use the combination of the sprays as prescribed by a doctor to prevent the mucus from thickening and causing severe side effects. 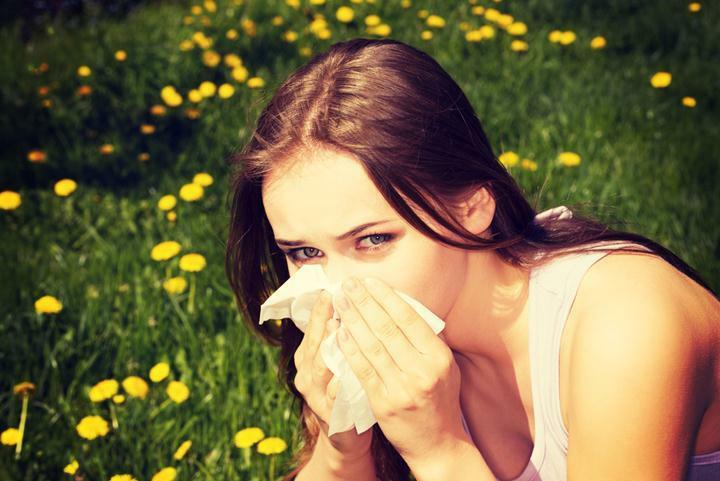 There are a variety of other medications which can treat allergic rhinitis. For example, Montelukast (leukotriene modifier) is used to relieve some symptoms of allergies. This medication comes in the form of eye drops and prescription sprays. However, you should stop using them and visit your doctor if they are not effective. If you have severe symptoms, use effective oral steroids such as prednisone. Allergy shots can prevent your body from overreacting to common allergens such as pollen, dust mites, mold, and pet dander. The injection contains a small amount of weakened allergen. Every time you get the injection, the immune system naturally responds by fighting the allergen. This trains your body to become more resistant to the allergen, thus preventing allergic reactions in the future. If you want long-term results, you need to get the shots for about three to five years. This method prevents long-term use of drugs to relieve allergy. It also prevents patients from becoming dependent on drugs. Another form of immunotherapy is sublingual immunotherapy. It involves taking pills instead of injections. Your doctor prescribes you some pills which you are supposed to take while at home until you finish your dosage. However, the pills are only available for a few allergens. These pills are taken on a daily basis for a few months to make the immune system resistant to the allergen. The disadvantage of this method is that, if you forget to take the pills in a few days, it may fail to work as expected. Examples of FDA-approved sublingual tablets in the U.S. include Ragwitek for ragweed pollen, Odactra for dust mite allergies, and Oralair and Grastek for grass pollen.